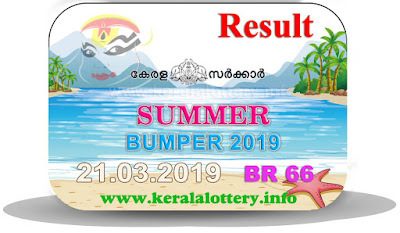 Kerala lottery result today is Summer Bumper lottery BR 66 result. Kerala lottery Summer Bumper BR66 draw will be conducted on 21.03.2019 Thursday at Gorki Bhavan, Trivandrum at 3 pm. 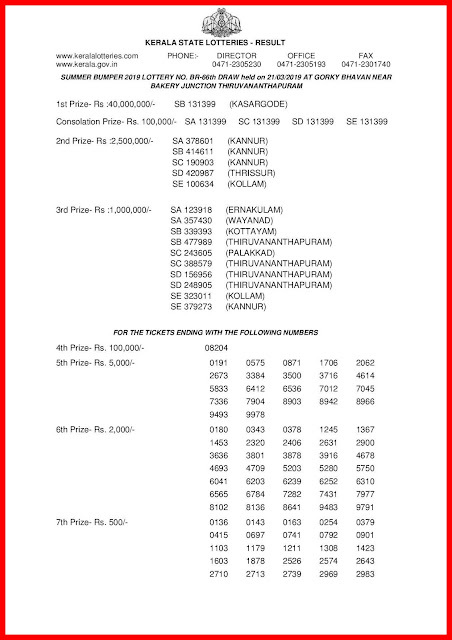 Summer Year Bumper lottery result draw is conducted on every Thursdays by the Kerala lottery department. The result of Kerala lottery Summer Bumper 2019 BR 66 will be published here as soon as possible. 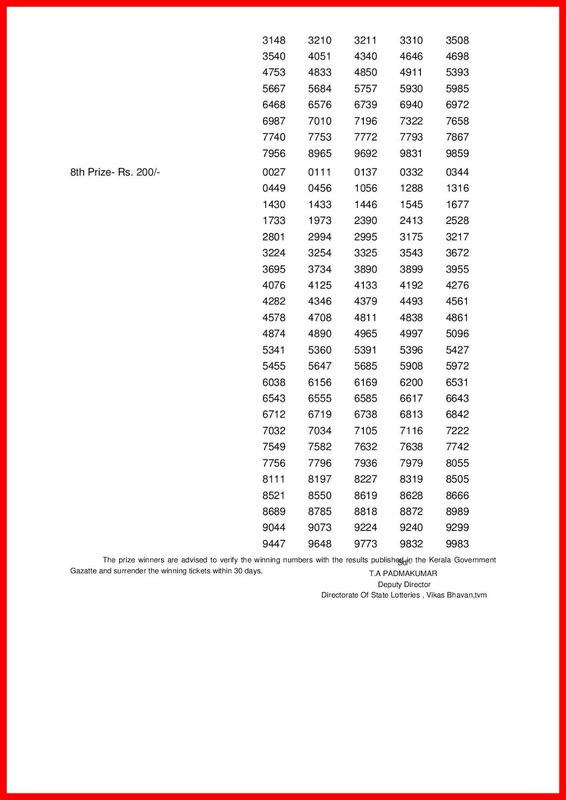 www.keralalottery.info is the site which provides a genuine result at the sharp time. But we are not the official website of Kerala lottery and this website is just for the promotion of Kerala lottery. Today Kerala lottery result is entered below.